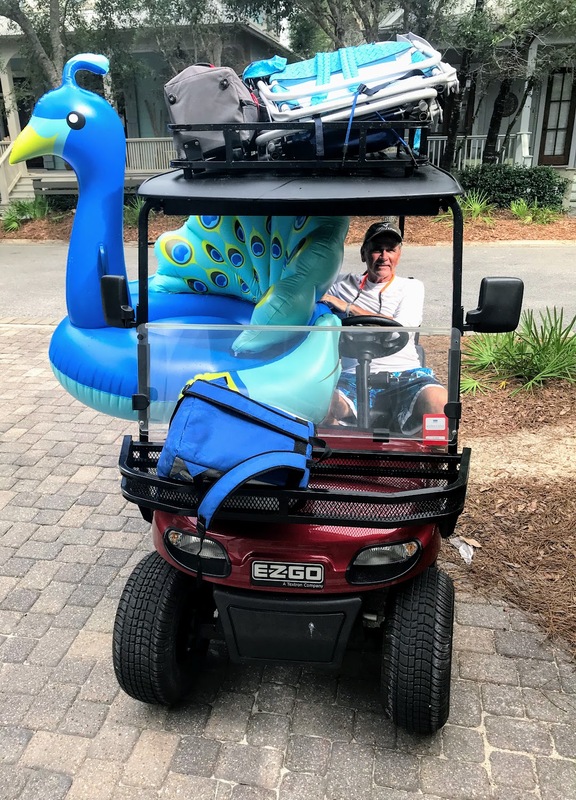 Did you know that a golf cart accessory for hauling can help you carry your hunting gear, beach equipment, pool stuff or just plain groceries? 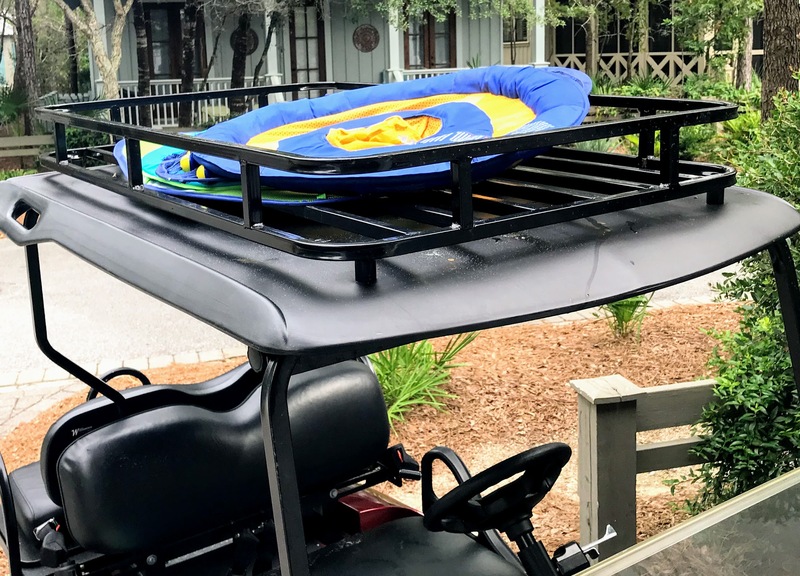 Take one trip to the beach, pool, or deer stand and load up your golf cart on the top, front or back. Heavy duty black powder coated corrugated steel baskets for the front of your golf cart are specific to your golf cart make and model. 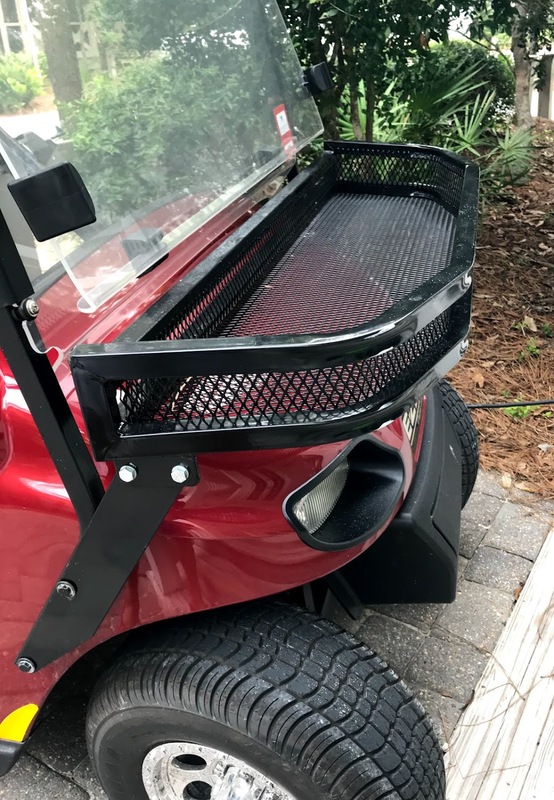 Durable and strong this golf cart accessory is able to hold some weight and can be used for shot gun shells, beach bags, or cartons of drinks from the grocery store. For hauling larger items, consider a golf cart roof rack. 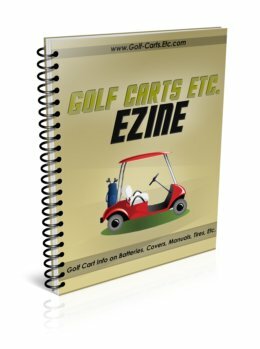 Roof racks can be universal or specific to your golf cart. Made of heavy duty black powder coated steel you'll find lots of uses for yours and wonder how you got along without one. 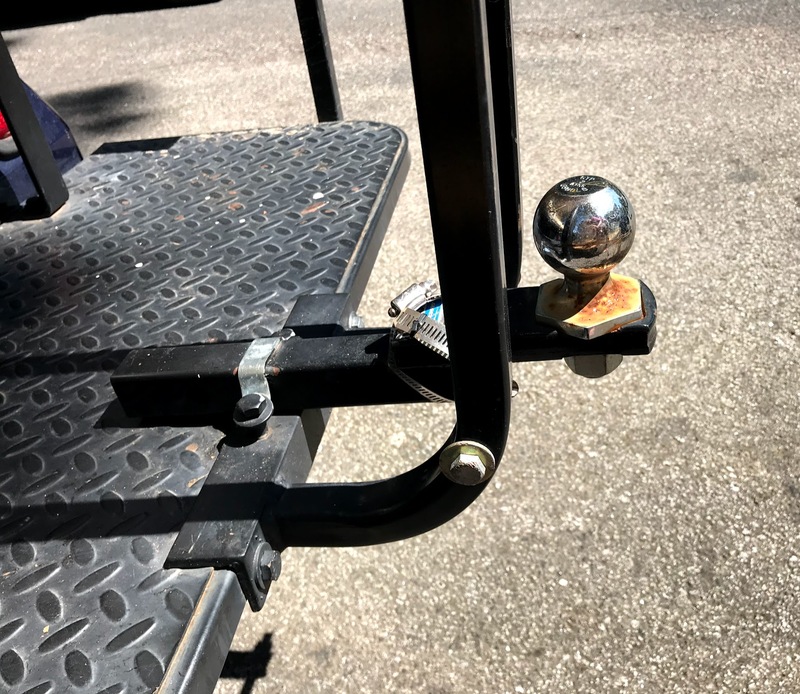 This 2" receiver hitch can work with any size trailer ball and can be used with or without the golf cart safety grab bar. However it is to be installed on the rear seat (of a 4 seat golf cart) platform. You might want to add on a 2" ball to your purchase. It should take around 15"-30" to install. Not sure if you are up to the task? Watch this video for step by step instructions. With extra storage and hauling space, these golf cart accessories can make your life a whole lot easier.